It took some time for my hugely popular Granny Smith series to find a readership, but now that it has sales are strong from week to week, and a fourth title in the series will be published at the end of March 2016. I've promoted the hell out of these books - indeed the first three titles are currently at a low low price on Amazon until the new book comes out- and I shall continue to promote the series. 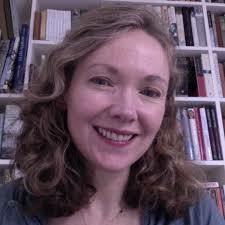 Hannah MacDonald, currently at September publishing, warned industry insiders to send out polite rejection slips or risk losing future best-sellers to self publishing. Hannah who has worked for HarperCollins was speaking recently to the Independent newspaper and she stated that traditional publishers could do more to nurture young writers. Publishing must not be seen as a closed fortress, Hannah warned. No matter how well you work social media, or how skilled you are at producing blog posts that generate serious traffic, none of this will benefit you as a writer if you don't, first produce a decent book. If you're not prepared to put in the work in, many many hours with little if any financial reward then you'd be better off giving up now. Sorry to be so negative but that's just the way it is. You need to write a damn good book. That is the single most important step in your career as a writer - getting published is hard work, staying published and becoming successful is even harder, but without first having written the best book you can then you've got no chance. There is no easy route to success. In fact if you want to make money quickly then writing is not the way to go - you'd be better off getting a regular job but there are some of us who positively need to write. Writing is buried in our DNA and no matter how hard it becomes we have no choice but to torture ourselves creating our fictional worlds, and although we are regularly visited by self doubt we simply work through this, trusting in the dream that one day someone will recognise our work. It is for those people, this poor multitude of which I am a member, those with a burning in their gut that can only be soothed by applying the fingers to the keyboard, the pen to the page, that this series on Indie publishing/self publishing is aimed. I've kicked that beastie in the balls so many times that my foot aches. Now I'm lucky in that I'm a hybrid author and have and continue to be traditionally published, so whenever I fail to see any worth in my work I simply tell myself that my agent, my publishers and my readers see that worth. Granny Smith series, and I've also got another project, provisionally titled, The Reluctant Terrorist in the planning stages. There are other things going on, of course. 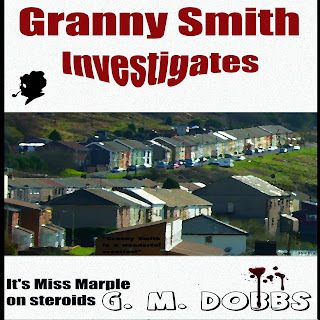 There has to be if I want to sustain and grow my writing - the first of the Granny Smith books, Granny Smith Investigates (20012) which has twice hit the top ten in the Kindle Cozy Crime charts will make the transistion to audiobook next month. Now granted many of you reading this may not have the kudos of having a traditional publisher in order to soothe away self doubt, but that doesn't matter. If you are meant to write, then you'll do just that and with hard work, a lot of hard work, success is there for the taking. It may take awhile, a long long while to get there but real writers will get there, no matter how long it takes they will get there. Below are a list of just three of the many authors who have made it big in the self publishing world, so when self doubt takes hold then take heart from the magnificent trio below. They've done it and so can you. 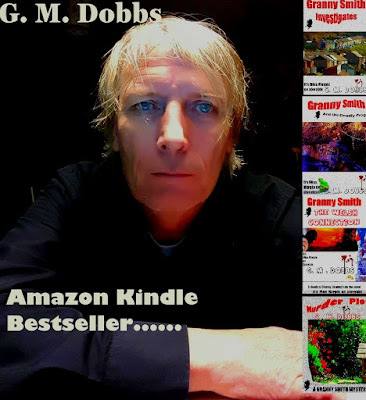 Kevin Bohacz - Kevin saw his first two books, Immortality and it's sequel, Ghost of the Gods explode on Amazon, occupying high positions in the charts. His almost immediatel success surprised him - “It baffled me,and I was really looking for the cause because I’d like to be able to repeat it.” Though Kevin's sucess is no mystery. He simply write good, compelling stories and the readers found him. Russ Colchamiro - in 2010 he published, Finders Keepers, and found success that many of us can only dream of. He wrote this book while balancing a full-time job and three-year-old twins, so dedication is it seems of paramount importance if you want to replicate this success. And since then he has built on the first novel and created a franchise that seems to gather fans at the rate of knots. Part Terry Pratchett, part Douglas Adams, Ross has given us a universe that we want to return to time and time again. 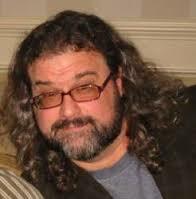 Joe Konrath - works in the thriller, mystery and horror genres and what is truly remarkable about Joe is that as well as churning out hugely popular fiction, he manages to maintain a Indie publishing blog that is a must read for anyone interested in indie writing - the newbies guide to publishing. Joe is outspoken and often seems to be on a mission to bring traditional publishing to its knees, but above all else he writes damn good books. I've not a fan of his horror work but his mysteries are favourites...I recently read his, Cherry Bomb and found myself both laughing out loud and gnawing at my fingernails. 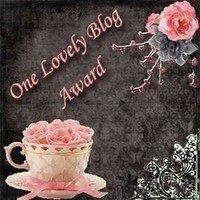 I may not always agree with what Joe has to say on his blog but I always return to read more...you should too. And now in 2016 the eBook market has, if not mutured, then at least entered it's troubled teenage years. 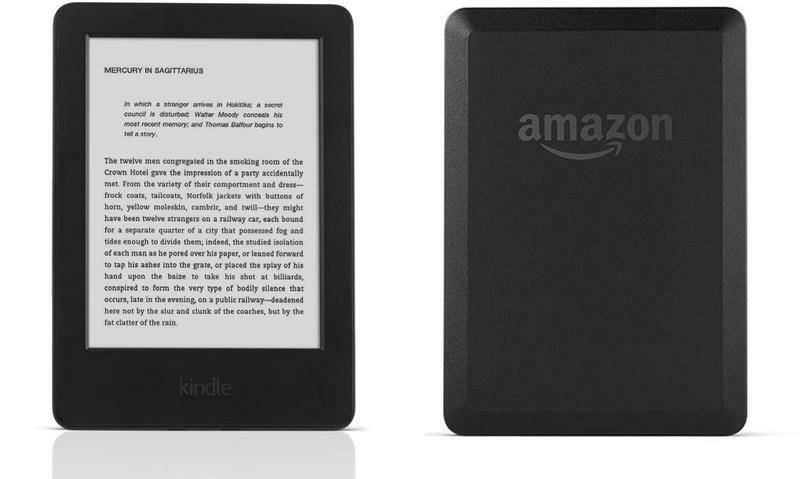 The Kindle device now dominates the market, although there are other eReaders that have pretty solid user bases. Kobo eReaders for one have a strong following, as does the Nook but for the writer it is the Kindle which is the gold standard. Amazon have the best eBook store out there and for author's hoping to gain an audience it is the Kindle that offers the best opportunities. Though that is not to say you should ignore the other platforms and it is a good idea when producing your eBook file to create an ePub version alongside the mobi for uploading to marketplaces other than Amazon. Crime charts. 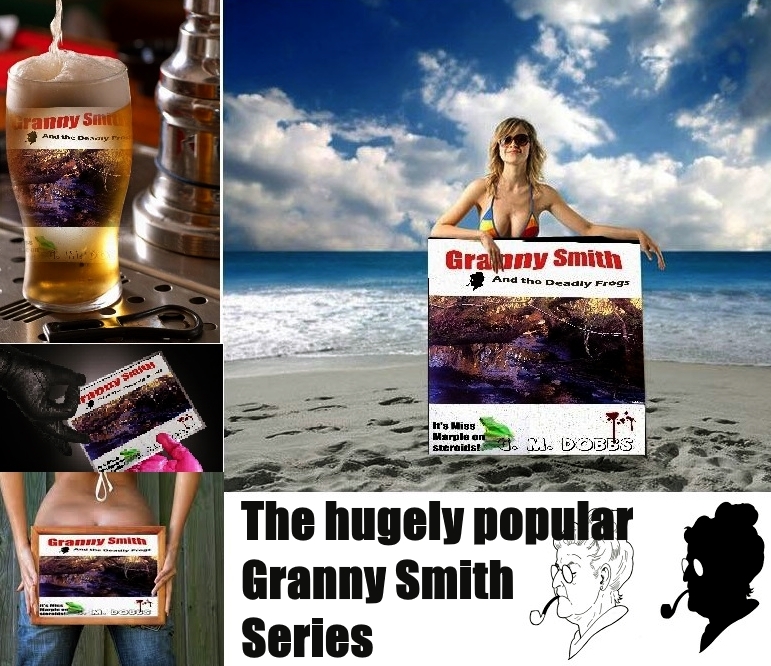 The first book, Granny Smith Invetigates went as high as No 2. Next month will see the publication of the fourth Granny Smith title, Mudrer Plot and in the build up to publication the previous three titles are on offer for the knock down price of 0.99c or equivalent. So now may be a good time for new readers to check out the books. Now after several years of self publshing - no scrub that and start again - Now after several years of INDIE PUBLISHING I have learned one or two things, and I intend to share these hard learned lessons with readers of the Tainted Archive through a series of articles that goes under the collective title, Indie Publishing. This article here is an introduction to the series, and I aplogise upfront if I mention my Granny Smith series several times in each article...hey, the importance of self publicity is one of the things you'll learn during this series of articles. 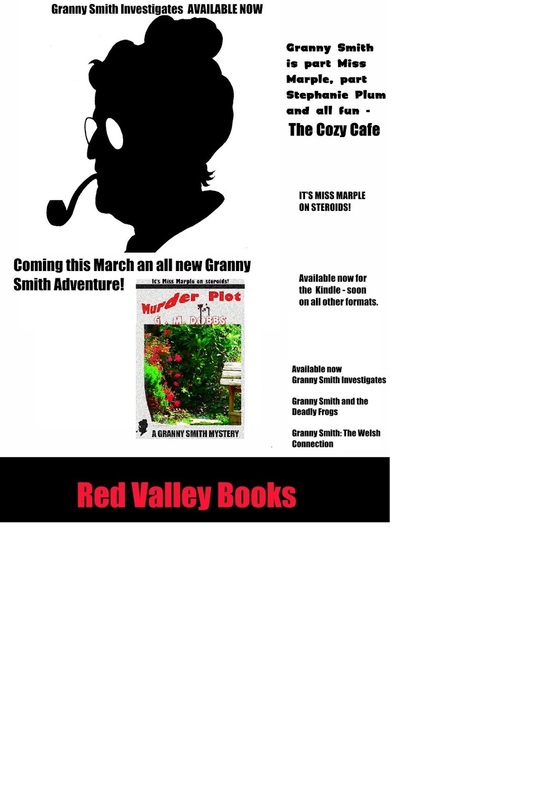 This MARCH a all new Granny Smith adventure will be hitting the digital bookshelves, and in order to celebrate the release of the eagerly awaited fourth book in the Granny Smith series, the first three titles have been reduced to 0.99c on Amazon for the Kindle versions. 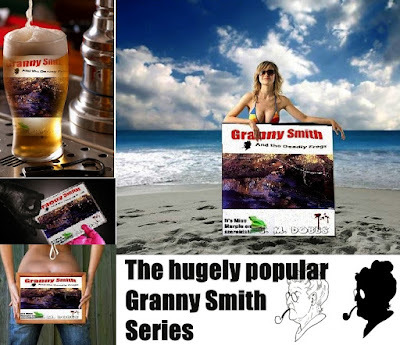 This offer will continue until 30th March so why not catch up on Granny Smith now. 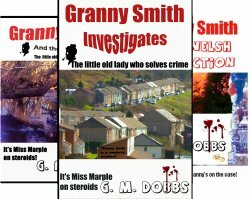 Get yourself in the loop before the publication of, Granny Smith: Murder Plot. Born in 1965, Gary M. Dobbs (Gary Martin Dobbs) is a British writer and actor. As a writer using the pen name Jack Martin he is responsible for a string of popular westerns for Robert Hale's Black Horse Western imprint. These include 'Arkansas Smith', 'The Ballad of Delta Rose', and 'The Afterlife of Slim McCord'. As Gary M. Dobbs he has written the popular series of mysteries featuring the character of Granny Smith - described as Miss Marple on steroids. As an actor Dobbs has appeared (often unaccredited) in many British TV shows, as well as in the films The Reverend and Risen. 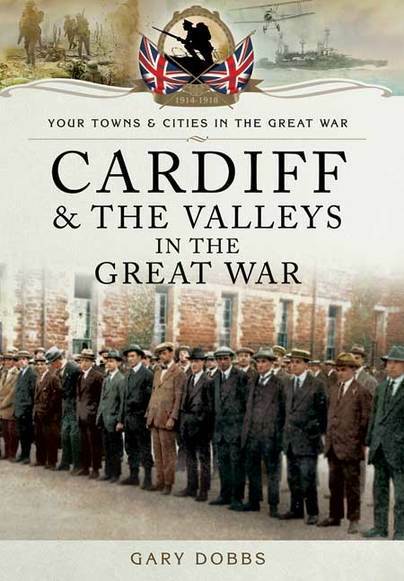 In 2014 Gary wrote the non-fiction historical book, Cardiff and the Valleys in the Great War, published in 2015 by Pen and Sword Books. Q- So what next for Granny Smith? A- Well, of course we have just seen Gerald’s wedding,which changes the Granniverse somewhat. The next full-length novel will be called Murder Plot and concerns murder and intrigue at the allotments society. 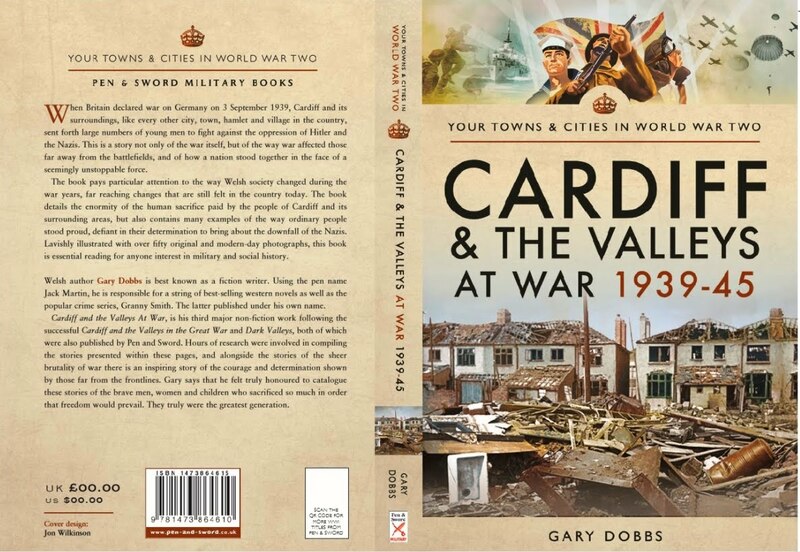 It's very nearly ready to go and will see publication at the end of March. Q-Where did the idea for Granny Smith come from? A- The back of my brain, likely. I’ve a fondness for classic crime fiction and also the old Ealing comedy movies. I think that the Ealing movies and Agatha Christie, particularly her Miss Marple series are the two biggest influences on the Granny Smith series, but there are other influences that all meld together to form the unique universe of the novels, the Granniverse of you like. I love Tom Sharpe for instance and although my writing maybe more PG Tips than PG Wodehouse I do hope there’s a lot of good humour in the books. M C Beaton’s The Agatha Raisin series are also a major influence. I’m aiming for the sky with Granny Smith, but if I only reach the shithouse roof then at least I tried. Q – The books usually concern a murder and the subsequent investigation. Does humour have a place amongst such dark themes? is our detective the very wonderful Granny Smith. 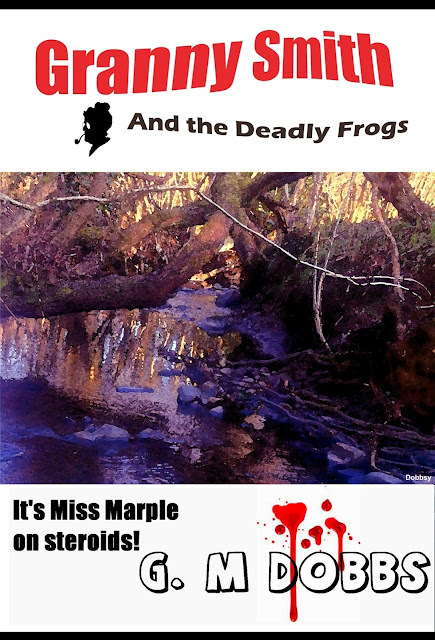 Miss Marple on steroids, indeed. In one of the reviews someone called her, Batman with dentures...I think I like that. Q- Which character from the Granny Smith books would you most compare yourself to? A- Gerald, obviously! But no I think there’s a bit of myself in all the characters. I love the way Granny sees political correctness for what it truly is and I hope I share this trait. Also Gerald’s flamboyance, Arthur’s lust for solitude and Twice’s self importance are swirling around in my DNA. Q- Granny aged ten years from the original draft of the first novel. Why was this? A- It’s true when I first wrote Granny Smith she was in her early Sixties, but I always wanted her to be older. I always thought her early Seventies was the correct age for the character but I was worried that it would be too much of a stretch to imagine all the things she does and so I created her as an extremely fit woman in her Sixties – which is not old by modern standards. Of course I soon realised that this was a mistake and that she had to be an older woman – and so I republished the first novel and aged her. That’s the beauty of electronic publishing in that it is so easy to go back and revise a book that’s already been published. I guess I’ll age Granny into her Eighties over maybe ten books. Q- So you see the series going on for at least ten books? A- And more. Granny’s a fun character to play with and I love the way the world looks through her eyes. I’ve become a fan of series characters in cozy crime and especially enjoy the works of Simon Brett, M. C. Beaton and Lesley Cookman and if these guys can continue to come up with ideas for their characters then I’m sure I can for mine. 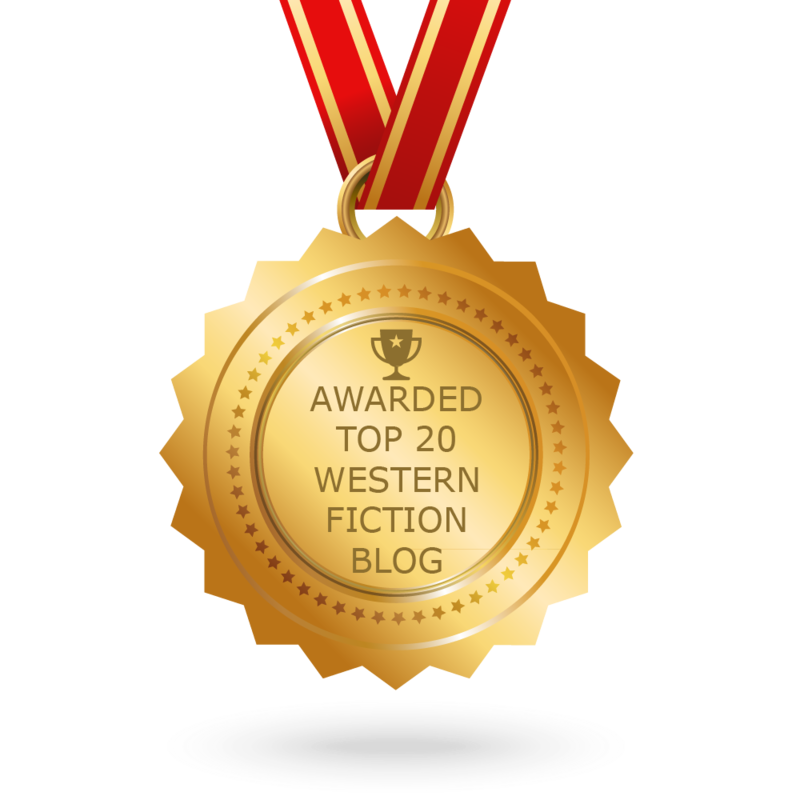 Q- You have had some success writing westerns as Jack Martin so isn’t cozy crime a big switch? A- Not really. My westerns contain a lot of humour. And I see no reason why a writer is expected to stick to one genre. That doesn’t happen in other fields where creators are free to switch genres whenever the fancy or need takes them. Stephen Spielberg doesn’t only make one kind of movie and The Beatles switched genres from track to track. I write the story that takes over my imagination at any given time and the genre is a secondary issue. Q- So would you write Erotica? A- Good God, no. I find it difficult to type one-handed. Q- Where can people find out more about your writing? Q- Finally where you get your ideas? A- Well I do a lot of people watching – well one woman really but the police have told me I’ve got to stop. Where do ideas come from? Anywhere and everywhere – from other books, movies, events in newspapers. Q- Tell the truth: you made these questions up yourself didn’t you? Granny Smith and the Deadly Frogs currently on special offer on Amazon worlwide...remember please support this author by leaving a review. Currently at a special promotion price for the eBook at Amazon. 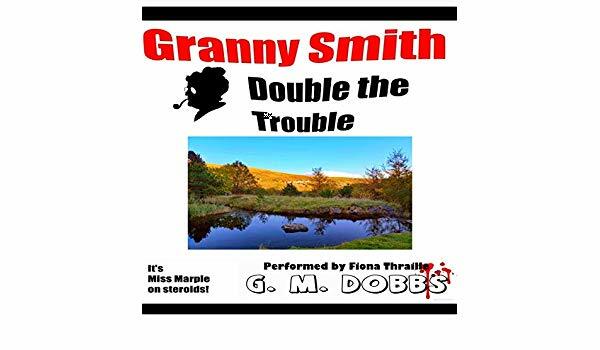 Granny Smith Investigates has been a great success for me, and kicked off the Granny Smith series - so I am especially excited to sign up with Audible for the book to be turned into an eBook. The title is currently in the early stages of production, - this means that voice actresses are currently being auditioned to the read the story, and I anticipate having some big news within the next few weeks. There are two other books currently available in the series, though the third title, The Welsh Connection is actually a short story, and a fourth book, Murder Plot will see publication this March. I am hoping that the audiobook release coinicides with the next Granny Smith book, Murder Plot which is due for publication at the end of this coming March - it will certainly be nice if it works out that way, but the audiobook production is the resonsibility of the experts at Audible, and this is a new venture for me so I'm not sure how long the process actually takes. All I know is that voice actresses are currently being auditioned to read the title. The Granny Smith series are what you would call cozy crimes, though I prefer the description, comedic capers. Ah well, I'm funny that way. And if you haven't read any of the books, and you fancy catching up on this senior detective then why not check out the books. 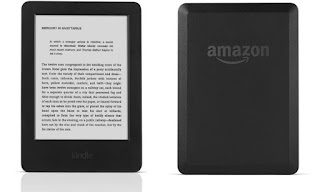 The easiest way of getting hold of titles is to pop over to Amazon where there are some great offers on the Kindle versions, though they are available for other eBook platforms as well, and can be found at most eBook sales websites. The first title in the series, Granny Smith Investigates sees the intrepid slueth, Miss Marple on steroids, Batman with dentures, trying to solve the murder of her next door neighbour, while the second, The Deadly Frogs finds Granny up to her neck in murder and mayhem when she gets herself involved with a group of enviromentalists who are trying to save a pond containing rare frogs from property developers. The third title, The Welsh Connection is a short story that proves that no matter where Granny goes murder is not far behind and terror comes to Eurodisney. The process of producing an eBook is obviously quite different to that of a physical book, but the editing process for The Welsh Ripper Killings has been just as strenuous . I've written about many aspects of the novel in previous posts and so I thought I'd tell you all a little about Police Inspector Frank Parade's town of Pontypridd. 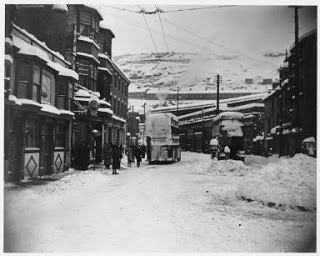 Parade's beat is the Welsh town of Pontypridd - "Pontypridd was a vibrant cosmopolitan town and had all the attendant problems that went with such prosperity. Alongside the great wealth there existed extreme poverty and the streets were often lawless – river traders, gypsies, pickpockets, drifters, even escaped convicts ranging from petty thieves to crazed killers would come up the canals and make for the alehouses and taverns of which there were plenty. There they would mingle and lose themselves among the sea of faces. 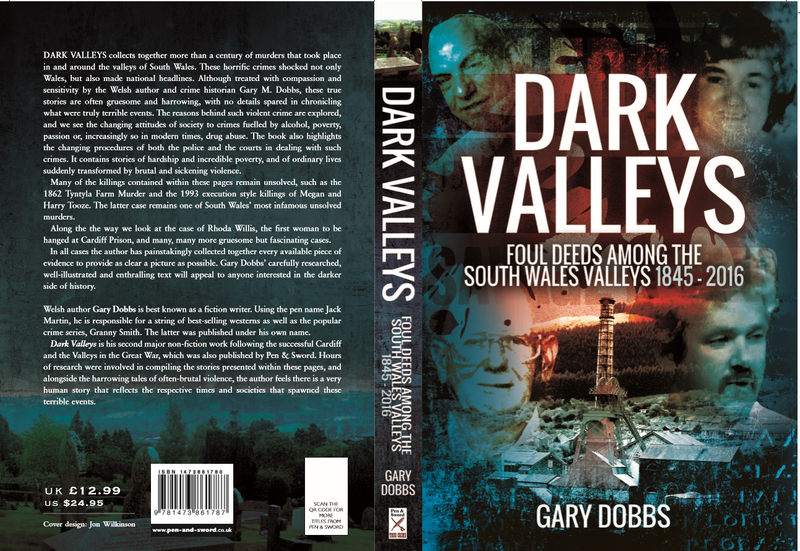 Though it had not always been so and the town, once a rural backwater, had been born out of the industrialisation of the surrounding areas and had benefited from its close proximity to the Glamorganshire Canal, which allowed access from Merthyr’s coalfields to the docks in Cardiff and from there the world beyond." One area of Pontypridd featur ed heavily in the book is The Tumble - the modern day Tumble is pictured left and the pic above is the same area as it was in Parade's day. Note the trams that ran the length of the town during the days that Frank Parade walked the cobbled streets. Today the Tumble is made up of a busy main road but sadly the town is no longer the thriving attraction it once was. The main building in the picture is today known as The Soul Suite but in Parade's day it was The White Hart and behind that is the River Taff and the beautiful Ponty Park. I have tried to remain accurate with Ponty's georgraphy in The Welsh Ripper KIllings although I have taken some artistic licence in the name of telling a story. For instance in the novel the fictional alehouse, The Butcher's Arms is situated opposite the White Hart and it is here that much of the action takes place. The landlord is one Eli Jenkins, a small wiry man who is always on the lookout to make money, legal or otherwise. now known. The coal would then be transported down to Cardiff and Barry and once again sent around the world. 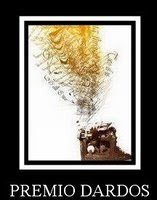 Fires, the industrialised world over burned bright with Rhondda coal." 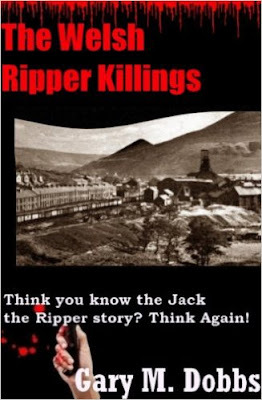 The Welsh Ripper Killings is available now from Amazon, Smashwords and anywhere eBooks are sold.